Have a little person in your life who wants to be just like Daddy or Grandpa? We know all about that! 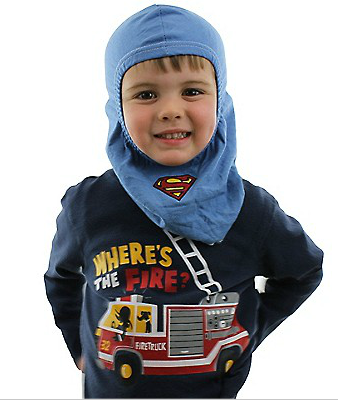 Check out our adorable, new Superhero Costume Kid's Hoods, made of 100% cotton, for dress up so they can look just like their favorite hero. Available with either an embroidered Superman or Batman logo, they can pick their favorite look! These hoods are new, yes, but don't forget we also sell the full Kids Turnout Gear sets (for costume), that's sure to complete the entire look! Available in black or tan, and looks so similar to the real thing your child will feel official! 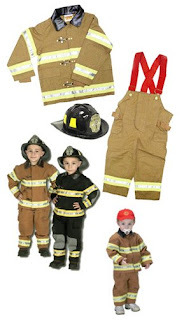 It's offered in sizes infant through adult small, and is perfect for dress-up, for birthday parties--would make a great birthday present or costume for any fun event! Shop our Kids Section today, for kids gear, the hero hoods (shown above), and other fun Kids Accessories!